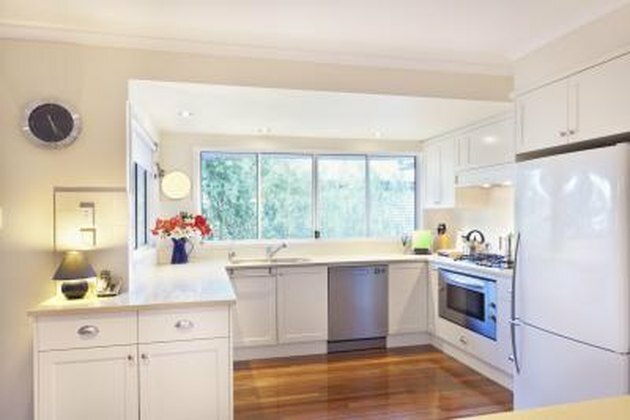 Stainless steel is a very popular trend for appliances. For a sleek, sophisticated look, many people are opting for the stainless steel look in their kitchens. 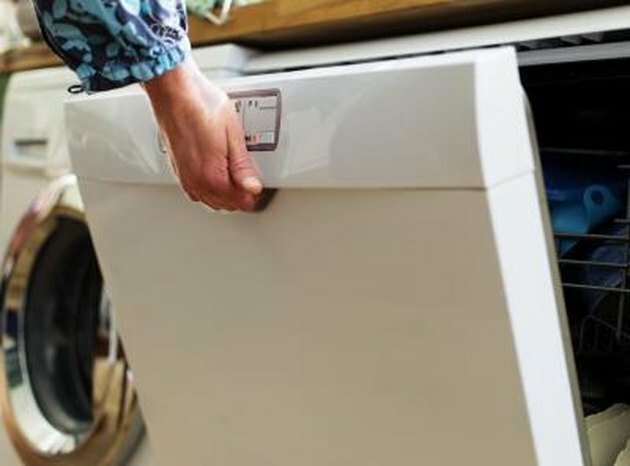 If you have a stainless refrigerator and stove, there's no need to purchase a brand new (and expensive) dishwasher just so it matches your other appliances. 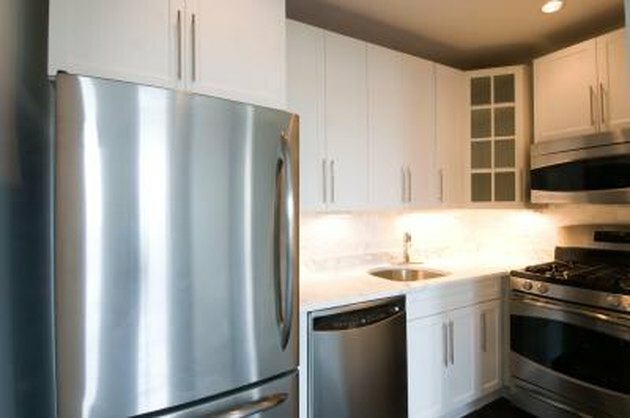 Instead, you can purchase stainless steel panels that fit right over your current dishwasher. You'll get the stainless look for a fraction of the price. Pour a dime-sized drop of a mild dish washing soap on a damp cloth. 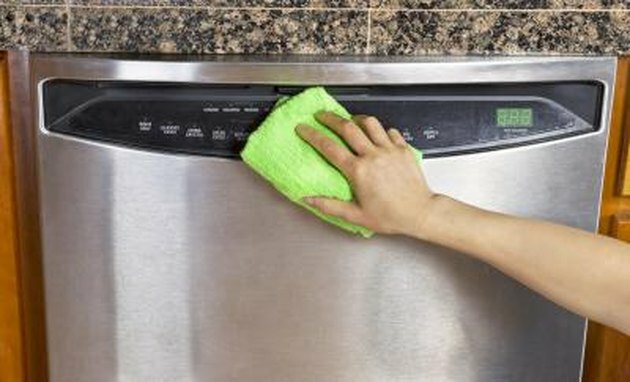 Thoroughly wipe down the entire dishwasher to remove any stains, spills and grease. Measure the dishwasher--height and width--with a measuring tape. 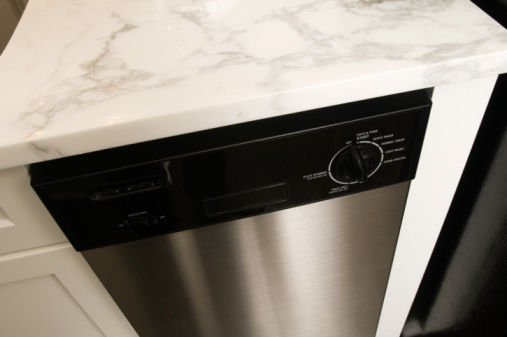 Keep in mind that you'll need 1/2 inch of extra stainless steel panel on each side of the dishwasher. Use scissors to cut the panel film to the size of the dishwasher, plus 1 inch. 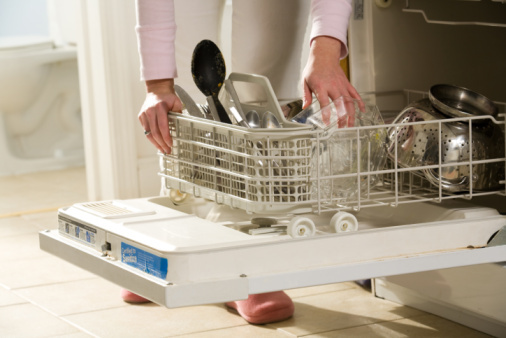 Wipe down the surface of the dishwasher with a damp sponge, but do not dry the dishwasher. Remove the backing of the panel film. Carefully press the panel film directly onto the front panel of the dishwasher. With your hand, smooth the film down starting at the middle of the panel, and smooth out to the edges. Run a squeegee from the middle of the film to the outer edges to remove any air bubbles, giving the dishwasher a smooth look. 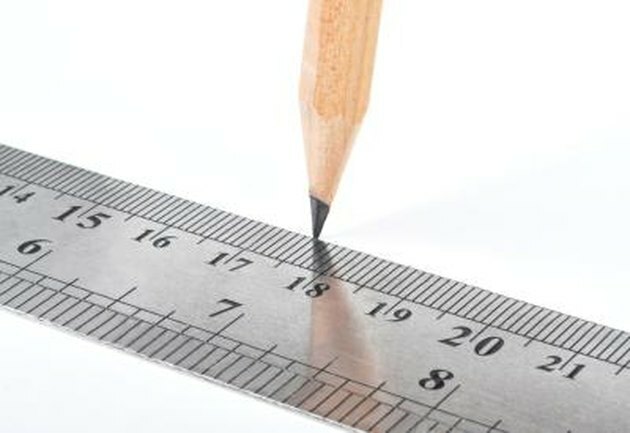 Place a ruler along one side of the dishwasher, at the very edge. Using a straight edge razor, cut the excess 1/2 inch of film from the edge of the dishwasher. When you're finished with one side, repeat this on the opposite side of the dishwasher. 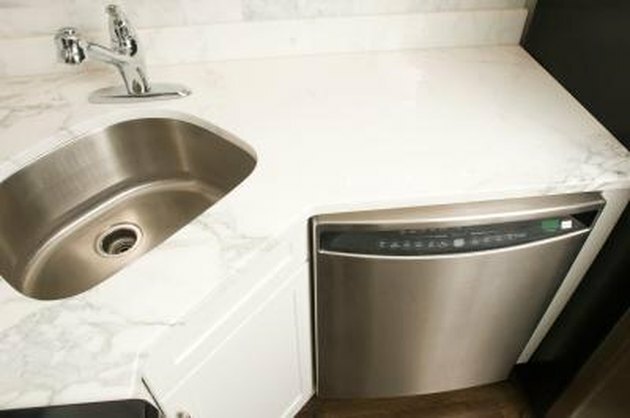 Wipe down the stainless steel dishwasher using several paper towels.